Handsqueeze is a collection of squeezes from artists hands that were brought together by an iron-casting symposium. 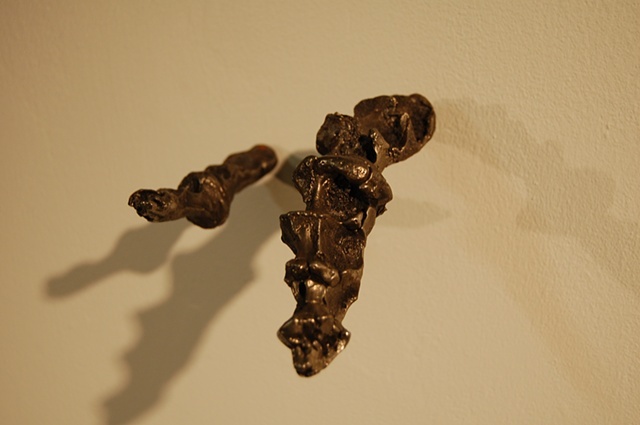 This piece shows the product of the shared process of casting iron, the common function that each artists hands serve, and the literal imprints that each artist had on the others. In this installation, the objects are placed on an invisible map and locate the geographic origin of each artist.